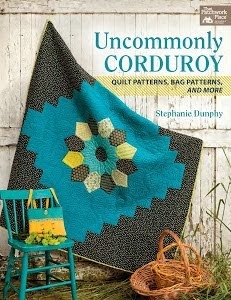 THE QUILTED PINEAPPLE: Wool, Pennies and Crows, Oh My! Wool is wonderful to work with. If you're looking for a a great project done by hand, a wool penny rug is the way to go! It's fun, relaxing and super easy to work with. 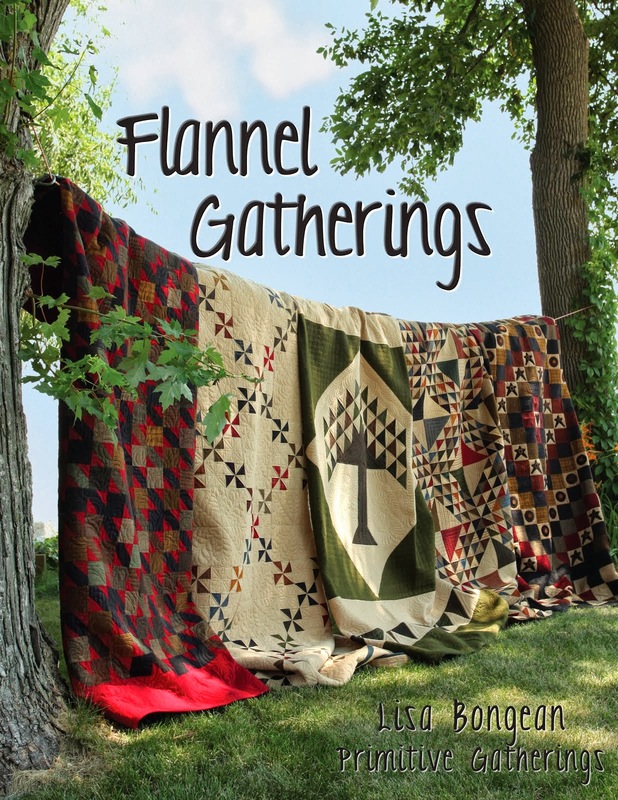 In August 2009, my guild (Cal-Co Quilters' Guild) hosted a trunk show and workshop taught by The Queen of Wool herself, Lisa Bongean of Primitive Gatherings. The project for the workshop was "Redware Crow Mat" from the book Autumn Gatherings by Lisa Bongean and Carole Charles. Lisa is an amazing teacher. If you ever get a chance to take a class from her, do it! You'll be so glad you did. Here are a few pictures of the finished project. There were a lot of pennies to stitch around! Lisa demonstrated great stitching techniques to really give the project character. The project was finished off with a piece of brushed cotton on the back, so you don't see all the stitching. Genius! Here's a picture of the back. Wool is great to applique because there are no edges to turn under and a simple blanket stitch gives a very neat look to your workmanship. It's the perfect project to take on a trip! I like to include a few crows in my fall decor. I just couldn't resist this festive little crow! Love the crow mat, you did an amazing job on it. So cool you included the guild's website. Your crow mat is wonderful, great job! I just bought my first wool kit, but have yet to get going on it.....maybe I need a class....so many wonderful projects, so little time! Welcome to blogging Linda! Your crow mat is just perfect for this time of year. I love working with wool!! Your crow applique is wonderful! The colors are so amazing and rich!! Love your wool mat - I've just started working with wool and am having lots of fun. I'd love to take a class with Lisa Bongean - she's so talented.